SLASH TO BE HONORED WITH THE LES PAUL AWARD AT THE 30th ANNUAL NAMM TEC AWARDS. Iconic guitarist Slash will receive the prestigious Les Paul Award during the 30thAnnual NAMM Technical Excellence & Creativity Awards, to be held Saturday, January 24 in Anaheim, California.Comedian Sinbad will provide the laughs as the evening’s host. The NAMM TEC Awards honors individuals and companies across 30 categories, for outstanding achievement in professional audio technology and production. The Les Paul Award named for the revolutionary inventor and esteemed musician, honors individuals or institutions that have set the highest standards of excellence in the creative application of audio and music technology. Instituted in 1991, the honor has been granted to luminaries including Pete Townshend, Paul McCartney, Brian Wilson, Stevie Wonder, Neil Young, Todd Rundgren, and Peter Gabriel. As a critically acclaimed, British-American musician and songwriter, Slash has amassed album sales topping 100 million copies, garnered a GRAMMY Award, seven nominations and was inducted into the Rock and Roll Hall of Fame. Timemagazine named Slash second, behind only Jimi Hendrix, on its “Ten Best Electric Guitar Players of All-Time” list. His famous guitar solos in songs including “November Rain” and “Sweet Child O’ Mine” are adored by rock fans worldwide. In 2003 he helped form the rock GRAMMY-winning supergroup Velvet Revolver, releasing two successful imprints with Scott Weiland and former GN&R band mates. Slash now enjoys a thriving solo career with his new band Slash Featuring Myles Kennedy and The Conspirators. On Sept. 16, 2014 the band unleashed their top ten new album World on Fire to worldwide acclaim. The new album marks Slash’s third straight album to debut in the top ten. The title track “World On Fire” ascended to #1 at U.S. Rock Radio. World on Firefeatures Slash with Myles Kennedy (vocals), Brent Fitz (drums) and Todd Kerns (bass). The album was released on Slash’s label Dik Hayd International, which is distributed through Caroline. Slash featuring Myles Kennedy and The Conspirators are on a world tour with additional U.S. dates to be announced in early 2015. Slash supports efforts to revitalize music education programs in public schools, as an honorary board member of Little Kids Rock. 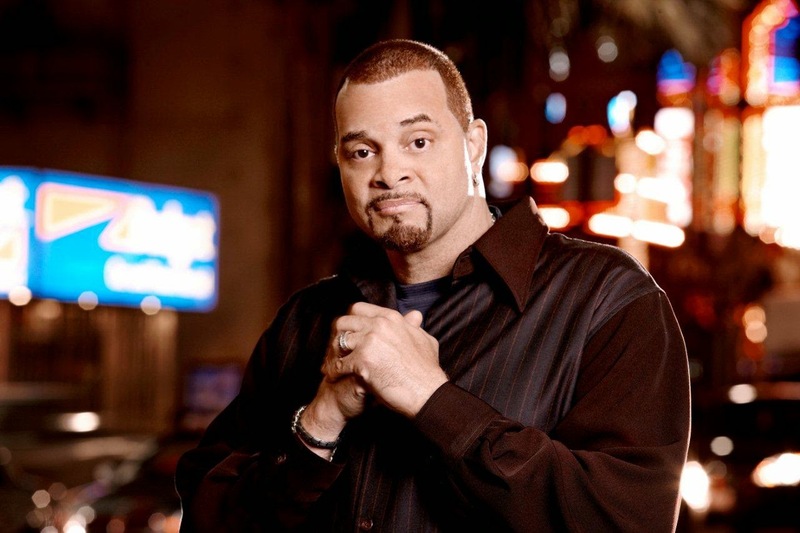 Sinbad, also a guitar player, is ranked by Comedy Central as one of the top 100 standup comedians of all time. For more than two decades, he has enjoyed a loyal following with his brand of clean standup routines and relatable humorous takes on life. Sinbad is also an accomplished film & TV actor, known internationally for the film Houseguest and his annual NAACP Image Award-winning HBO concert series Sinbad’s 70’s Soul Music Festival. Also as part of the evening’s festivities, engineer-mixologist Ed Cherney and bassist Nathan East will be inducted into theNAMM TEC Awards Hall of Fame. The NAMM TEC Awards recognize the individuals, companies and technical innovations behind the sound of recordings, live performances, films, television, video games, and other media. The ceremony will be held on the third night of the NAMM Show, one of the world’s largest global music industry trade events annually attracting 96,000 members of the music industry to Anaheim. Tickets can be purchased here.